FM radio listeners know what to expect: plenty of pop, assorted classic rock and oldies, hip-hop and R&B, along with a few talk shows here and there. More obscure genres like punk and gospel might have their own stations, but in general FM is a rare place for the marginal, the alternative, or the eclectic—which is exactly why Chicago’s 88.3 FM station WZRD “The Wizard” stands out. For more than thirty-eight years, WZRD broadcast a diverse array of music, news and opinion, giving airplay to emerging punk bands (as well as chant, blues, international and more) and provocative thinkers like Noam Chomsky. Founded as a student club at Northeastern Illinois University, WZRD proved a mainstay in the world of FM radio. That is, until June 29. While the incident that led to the lockout in question revolved around an incoming officer for WZRD, the university and its radio station have long been at odds, according to Enger. Disputes about alumni and non-student membership, student member commitment to coursework and various FCC regulations have caused several flare-ups between WZRD and its sponsor, dating back as early as the mid-eighties. Never before, though, had the University taken measures so extreme. In an official statement released on September 19, NEIU announced the radio station was under review “for potential violations to its bylaws and charter”; the station is operating with a skeleton staff in place while a pair of committees conducts their reviews. 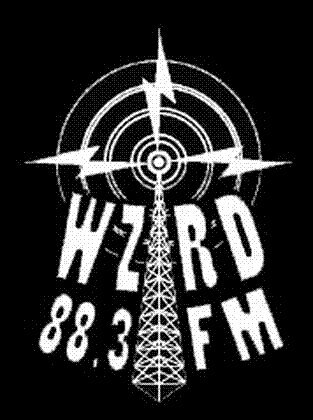 Despite the ongoing restrictions, the university maintains that it supports WZRD and its listening community, and that it is committed to the long-term success of the station. The locked-out wizards seem to have little faith in this commitment. Immediately following the news of the university restrictions, the WZRD staff convened for a meeting. Their first plan of action was to preserve their voice through other media: Securing their Facebook and Twitter pages, WZRD set to work spreading the word about their plight, also creating a website (wzrdchicago.org) to further the cause. Response has been largely sympathetic for the station, with other radio stations like WNUR giving them airtime, and more than 500 petitioners signing on their pages at change.org.